Apple TV Review - The New 4th Generation Media Streamer? Apple has always been one of the biggest names in technology. With products like the iPod or the iPad to MacBook or the Apple TV. A new version of the Apple TV has not been released since the 3rd generation Apple TV was released in 2013 but as of the end of October 2015 that is about to change. The 4th generation Apple TV pre-order period opened on October 26th, 2015 but is now fully released and ready to purchase. You can purchase this online or from your local Apple retail store. Even more common stores like Target or Best Buy have limited supplies of this new product. The new Apple TV seems to come with all the bells and whistles. The base model is 32 Gigs compared to the upgraded 64 gig model. Prices range from 150$ to 200$ depending on the amount of memory you are looking for. What is the Apple TV? 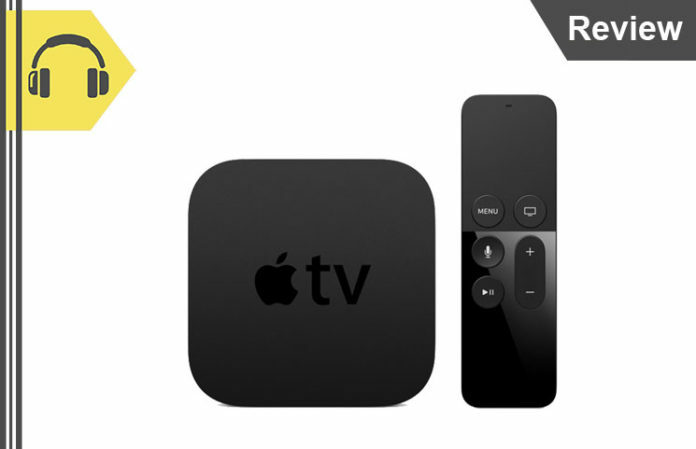 The Apple TV is very popular among other devices for those people who are wanting to stop paying so much for television and simply use the low cost subscription like Netflix, HBO now, Hulu or a variety of other subscription based viewing applications. This new device lets you use nearly any streaming applications and now more with the addition of the app store. The new Apple TV will have access the app store so users can download and use their favorite apps. This addition will improve the amount of content users are able to stream on their Apple TV. The remote is still a work in progress as entering text into the search bars can be tricky. Some applications will allow you to sign in from your computer or another device which can fix this problem pretty easily. Future products like keyboards or game controllers/ remotes are likely to be released that will work with the Apple TV. Looks wise, the 4th generation Apple TV is very similar as the 3rd generation. Although it is nearly twice as tall, most users will be easily able to swap out their older models for this one. The Apple TV is much smaller and lighter that most devices that the-every-day person has hooked up with their televisions so there should be no issues finding room for this device. Along with a power cable and Ethernet port, the Apple TV uses HDMI for its primary way to connect to the television. An Ethernet port is included as a back-up option as the device does fully support Wi-Fi or wireless internet. The remote seems to have changed drastically from the previous 3rd generation model. The small remote which supports Bluetooth now is an improvement from m the previous model in which you were required to aim your remote directly at the Apple TV device for it to work. Another drastic change includes the power cord to charge the remote instead of the previous power method of using rechargeable batteries. This could either be an improvement or a backwards step depending on how you look at it. A very common problem with the previous Apple TV remote was that it was very small, very thin, and had very few buttons to you. The small size would nearly guarantee that you would lose it in between your couch cushions or somewhere. The new model is a little larger and also has more controls on the remote. When using the 3rd generation you were stuck with arrow buttons to navigate and if you wanted an easier way to navigate you would be required to download a Remote app on your iPad or iPhone to swipe quickly through shows or options on your Apple TV. The new remote integrates this option by having a new swiping surface touch area that also can be used as the enter and select buttons when pressed down. You are now able to swipe up and down, or left and right, to scroll through video timelines or options and then just press down on the scroll pad to select the option or time. The only downfall to this update is that some people will find it difficult to navigate as they will overshoot their desired item when scrolling through options. It is not clear if there will be a sensitivity setting for the touch scrolling pad on the remote. The previous Play/Pause and menu buttons are still on the remote as they were in the previous model, and there is now the addition of a set of volume buttons that will work with your TV. Perhaps the major addition to the 4th generation Apple TV remote is the Siri function. Siri has been one of Apples breakout ideas and the addition of Siri to the remote will give users the ability to speak commands such as pause, play or menu. Additional commands such as turn captions off or captions on will likely be included. Setting up this device is very simple. Unlike your old DVD player with its multiple connection cords, the Apple TV simply has a power cord along with the HDMI connection to your TV. When setting up your Apple TV you can manually do it as before, or if you have other iOS devices that connect via Bluetooth, your Apple TV will simply connect to them and adapt their Network information and Apple settings. The viewing experience works just as the previous Apple TV models. Displayed at the menu is a grid of apps and icons which you can move around and arrange how you wish. Initially icons such as iTunes movies, iTunes TV shows, Photos, and iTunes music will be installed. This 4th generation Apple TV also comes with the App Store so you are able to search and download third party apps of your choice. Although since the App Store is fairly new to this device, only the basic 3rd party apps are currently supported such as Hulu Plus, HBO GO, Netflix, plenty of sporting options and also games! Games are somewhat of a new addition but will feature the remote as the controller. 3rd party game controllers are also available but not through Apple. Overall, there have been many improvements made to this 4th generation Apple TV. All in one streaming devices such as this are growing in popularity as they are more cost effective and end up replacing other devices such as DVD players and also television subscriptions from providers like Dish Network or Direct TV. Previous articleOculus Rift Review – New Virtual Reality Headset Worth It? TickBox TV Review – No Monthly Instant Access Streaming Video System? MS4 TV Box Review – Smart StreamBox Streaming Television Home Theater Box? Roku 4 Review – Powerful 4K Ultra HD Streaming Media Player?